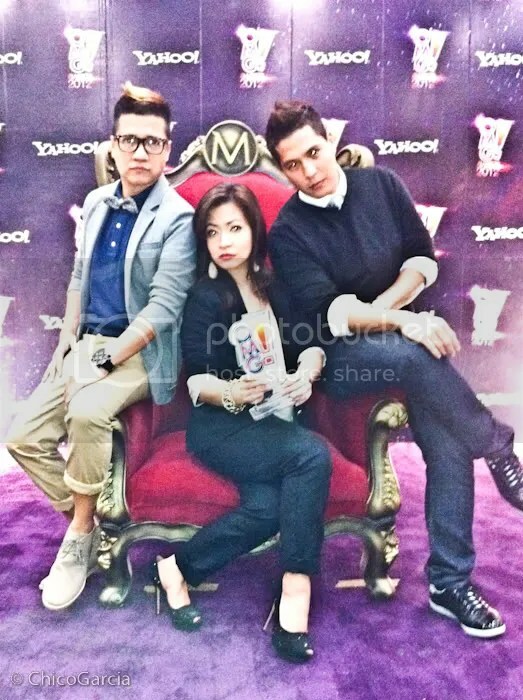 As I promised, here’s the more comprehensive account of our Yahoo! OMG Awards experience. 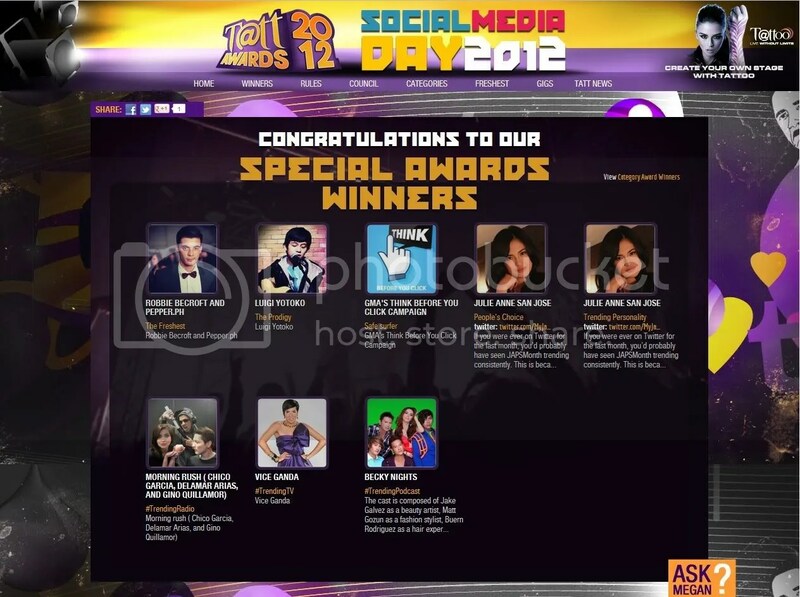 When we found out about our nomination, we were so excited and so stoked at the idea of winning this award. 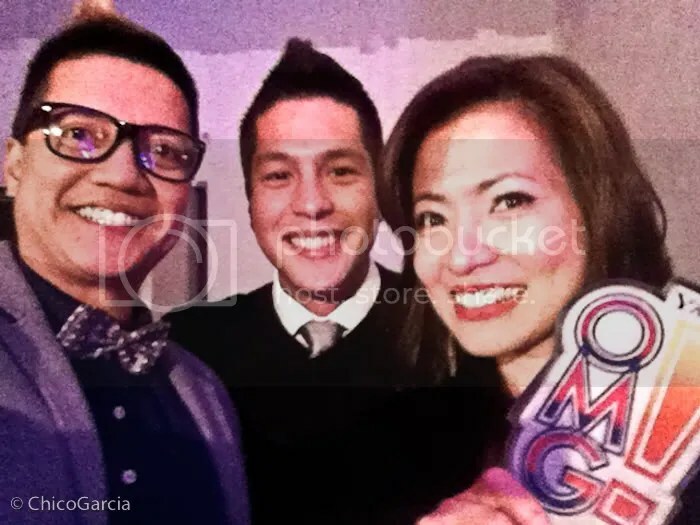 It would be special because it’s not so much about the show, but about the supporters of the show and how they can propel any show or celebrity to win in their respective categories. So obviously, we really wanted to win. On the day of the awards, we really went all-out, like we never really prepared for an event before. We’re all self-confessed fashion victims, so we were thrilled to be styled for the first time by @katerro who gamely rescued us from the fashion police prison. So if ever we seem a little more well put together than usual, it’s all thank to Kat Erro for guiding us to the straight and narrow path, fashion-wise. We’d also like to thank as well Fred Penales and Miguel of Hairshaft for updating our ‘do as always, ever so supportive of our awards-night-look rescue mission. When the nominees were being flashed one by one on the big screen, my heart was pounding like a jackhammer by then. By the time the winner was about to be flashed, I had a split-second gut feel that we had lost. 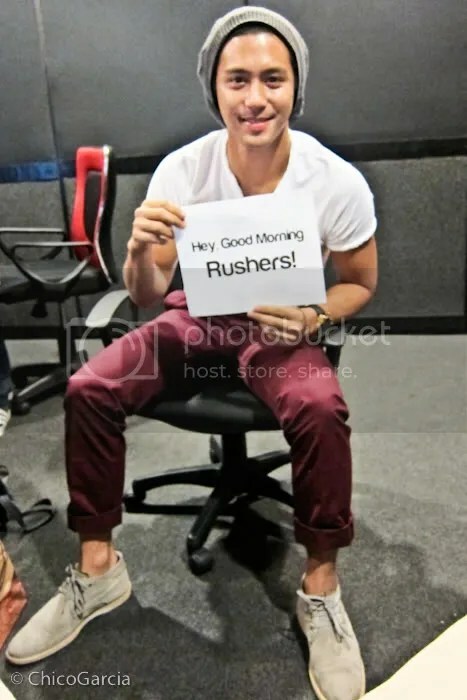 So when they flashed our show’s photo, the Rushers went wild! I swear, nothing can describe the sheer electric joy we felt at that very moment. It’s a blur to me now, but I remember it feeling SOOO good. We went backstage for the interviews with the winners, and by then we had tweeted the great news and we were getting a flood of congratulatory tweets from everyone. We also had our share of celebrity sitings. One went like this: I was sitting down when I felt a kalabit on my shoulder and a meek voice asking, “Excuse me, can I have my book signed?” I said sure and looked up, and it was Shamsey Supsu! Can you imagine how my jaw dropped? She said she listens to the show and so we begged her to have our picture taken with her as well. She was the nicest girl ever! What an unassuming, down-to-earth celebrity. I understand why people love her so much. I hope we can guest her on the show one of these days! She’s definitely on my wishlist. 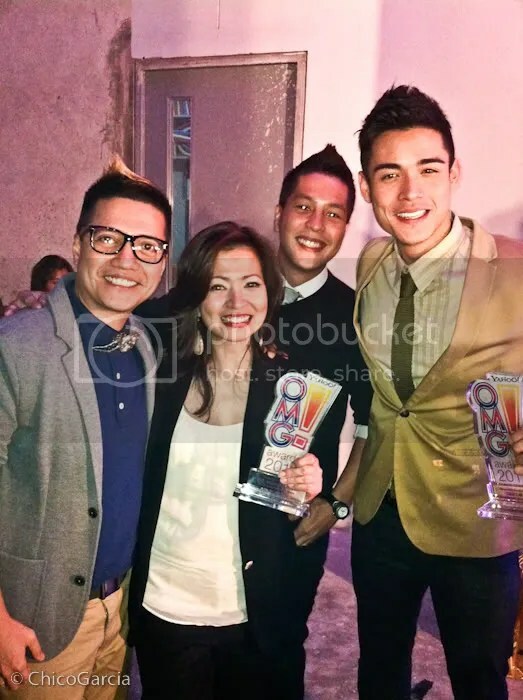 Backstage, we saw a familiar face – Xian Lim! We said hi, and we could tell from his initial expression that he didn’t recognize us (maybe because we actually looked decent that night). But the moment the recognition clicked, he gave us the biggest smile and even took a picture with us. Such a nice guy. 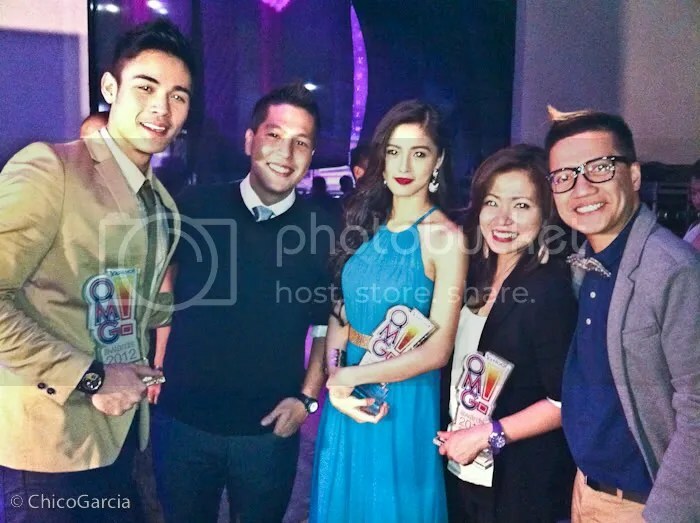 Of course we took the opportunity to snap a photo with his love team, the beautiful Kim Chiu. Kim was telling us: “Grabe, sobrang fan niyo yan.” Xian was so cool he even took a picture of Gino with Kim. Such feel-good celebs! We also ran into Gino’s friend Bela Padilla. We definitely squeezed out a promise from her to guest on the show, so I’m hoping she’ll spill some secrets of Gino on air! I can’t wait to have her guest too! We had so much fun that night, also communing with our co-radio jocks who were there as well. 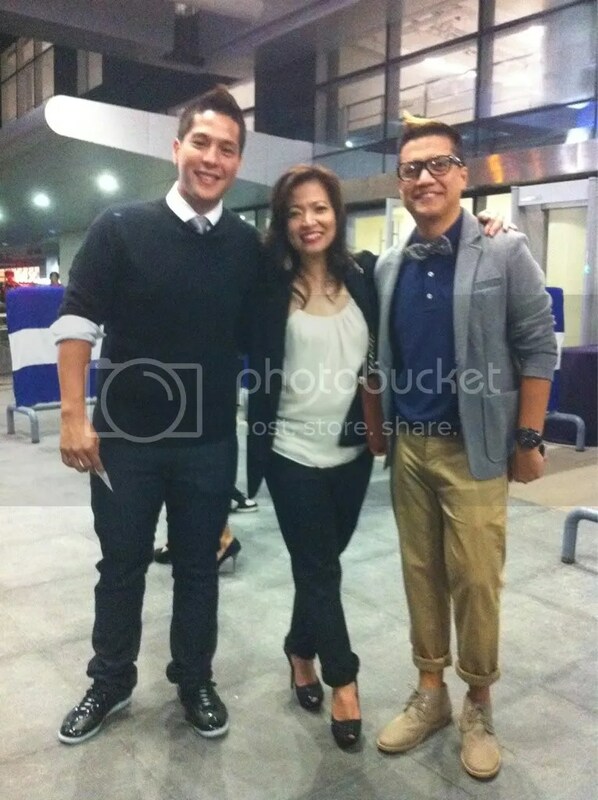 Of course the ever gracious Nicole Hyala and Christsuper, whom we always bump into. There’s just a mutual admiration thing going on there, lots of respect for what each team does on radio. And major props to Boys Night Out, who gamely approached us to congratulate us on the win. Slick Rick even tweeted his congratulations to us. Such a class act, that’s why if ever we were going up against anyone in the industry, it would be quite an honor to be up against them. It was fierce competition, without ever becoming ugly or negative. It just has to be said, congrats as well on a good fight, Boys! Okay, so we get to the blind item. ALL the celebs we encountered were SUPER nice…except one. She was on her way to her seat when we approached, so maybe she was tired or not in the mood, but when Delle asked if we could have a photo with her, she rolled her eyes and made a face as if she were annoyed. To be fair, she said nothing, but the face spoke volumes. At first I thought I read wrong, but as we were walking away, we all asked each other, “Is it just me, or was she a total *****?” Apparently when we saw her reaction, we all wanted to just say, “Look, if the idea is so offensive to you, then we’re sorry for the intrusion and never mind the picture.” We just assumed that since the whole OMG Awards was about the fans, that most celebs would be okay to approach. Honestly, I’ve met tons of celebs, local and foreign, and not everyone was friendly. I understand that sometimes celebs get tired and are not in the mood, but this is the first time I felt so small interacting with a celeb. She made us feel 2 inches small. In her defense, I’m sure tons of her friends and fans would swear that she’s actually a nice person, but what we saw that night was NOT nice. But then that’s OUR version, we could be absolutely wrong about her. 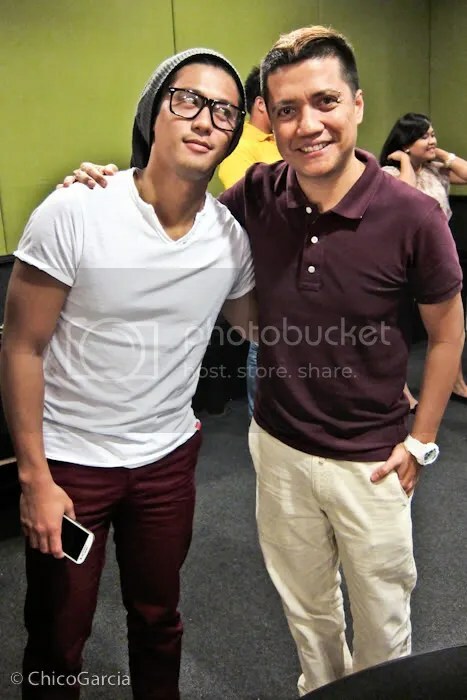 We ourselves are often accused of being suplado/suplada, but it’s only because we’re actually shy. So we’ll think nalang that maybe she’s shy as well and awkward in social situations like us. UPDATE: Someone told her about the incident and she said she doesn’t remember rolling her eyes at us and so didn’t mean anything by it. She said sorry and no offense meant. And the look was probably because her falsies were bothering her. So I guess that’s that. But to end on a positive note, everyone else was good vibes that night, the other celebs, the people behind the OMG Awards, and most especially the RUSHERS!!! Even until we left the arena, we met up with them and had a great time taking pictures and chatting (and the occasional teasing about our plus ones). We ended up grabbing a bite to eat to celebrate the victory, and we all slept with the BIGGEST smiles on our faces. Again, thank you to the OMG Awards, thank you to Monster Radio RX 93.1, and most especially thank you to everyone who voted for us, online and via text, we owe this victory to you guys! Congratulations to us!!! Wow, has it really been that long? People are calling it the show’s sweet 16. Imagine, if Delle and I had a baby when we started working together, she’d be 16 years old now! What a freaky thought. 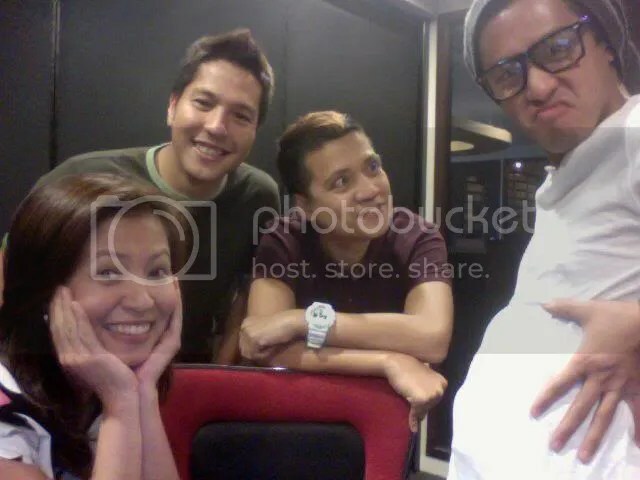 From FM radio’s love team, to the Kikay Barkada! It’s been quite a road, the one we’ve traveled. The highs were (are) high, like the one we’re riding as this very moment, but the valleys were low indeed. When I think back, I marvel at how we weathered the rough patches. Heck, we’ve outlasted many marriages! Someone recently told us: “This is like your fourth wind?! 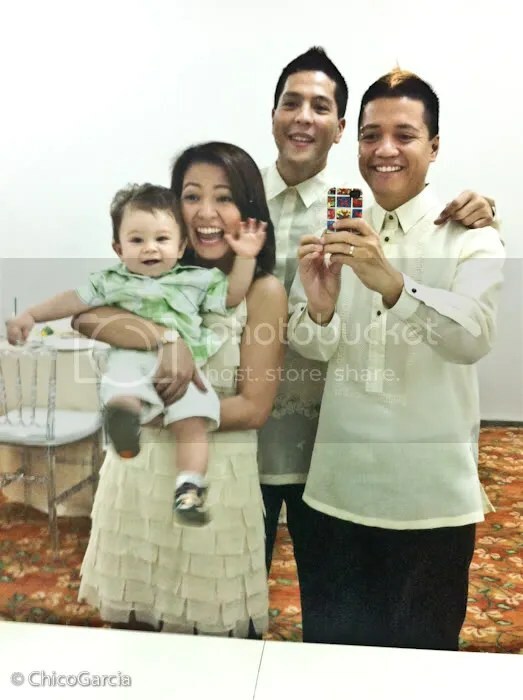 ?” But this latest incarnation of The Morning Rush, The Kikay Barkada, with Ginoboi, the irrepressible latest member of the family, is quite the creature! This anniversary is EXTRA special, having been the 3rd in a string of blessings that washed over us like a tsunami of good vibes. To celebrate this in the wake of winning the Tatt Award for #trendingradio and the OMG Award for Best Radio Show (not to mention the unexpected success of the Top 10 book), the anniversary is the icing on the cake. I have never felt so fortunate and blessed to be doing what we’re doing that right at this very moment. To be quite honest, it makes wading through the muck of the difficult times all worth it. 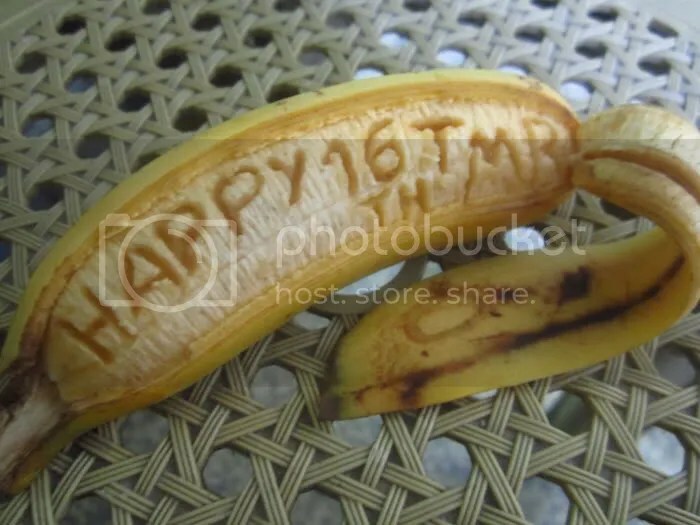 When we celebrated the rounded-numbered 15th anniversary, it actually felt like an ending. I had this fearful hollowness in my gut that something’s ending. With Delle having a baby, and our personal lives evolving at racing speeds, I actually didn’t know what the future had in store for us. Little did we know that this whirlwind we’re experiencing right now was about to unfold. 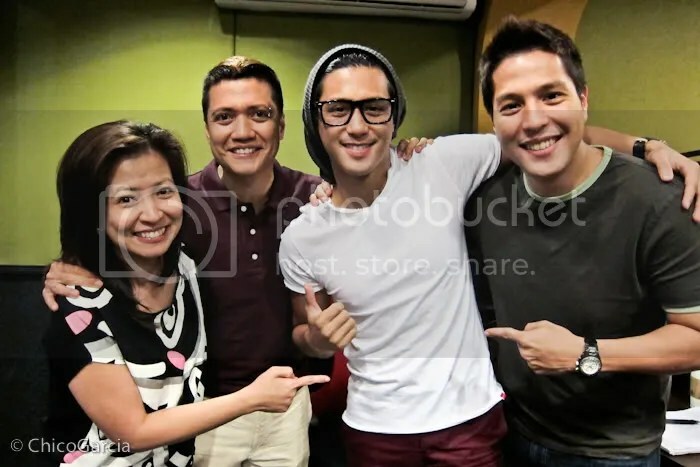 Gino’s arrival, the birth of the Kikay Barkada, the book, the awards, the past 6 months have been the best of our lives. Not to mention the manic support of the Rushers who literally toil and trouble their days in support of whatever project we may have in the wings. The outpouring of love (and I don’t take this word likely) is breathtaking. So here we are, the latest version of us, this weird, dysfunctional, but happy little family we call our own. How long will this last? Who knows. But while we’re on this ride, let’s all enjoy it. HAPPY ANNIVERSARY TO US!!! 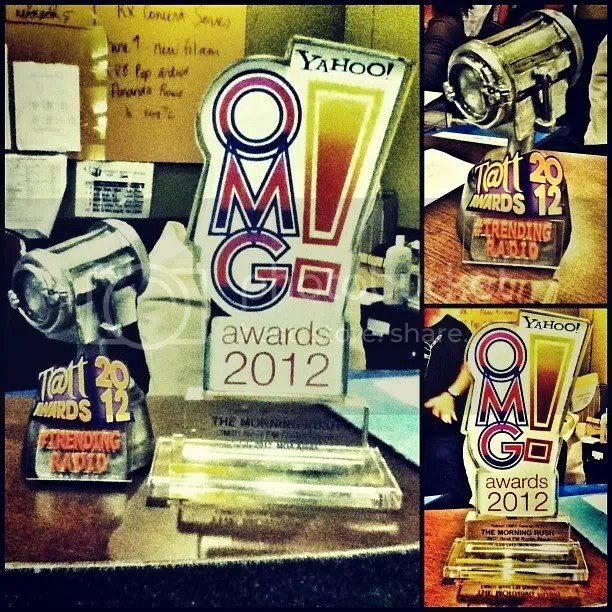 The Morning Rush Wins BEST RADIO SHOW At The OMG Awards 2012!!! 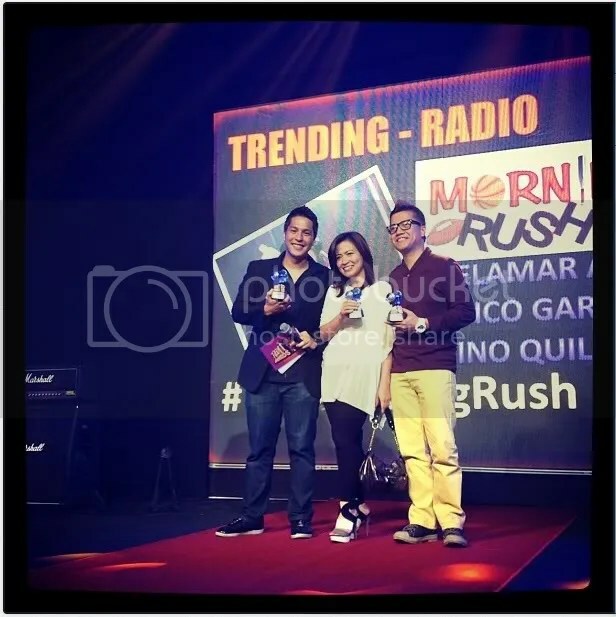 The Morning Rush won last night as BEST RADIO SHOW at the Yahoo! 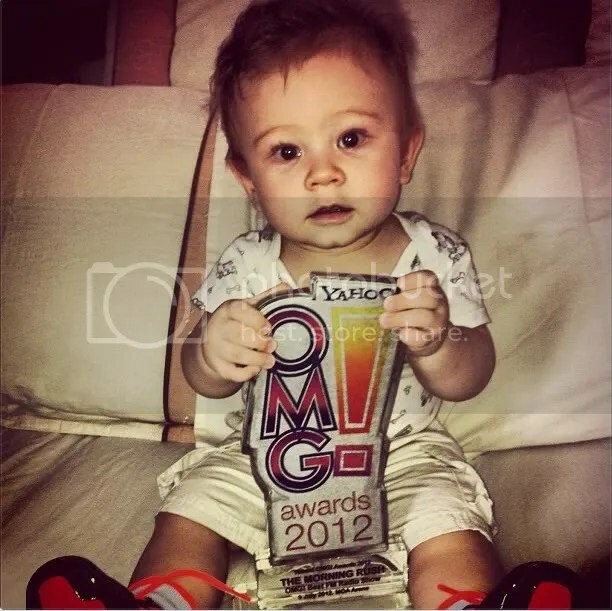 OMG Awards!!! 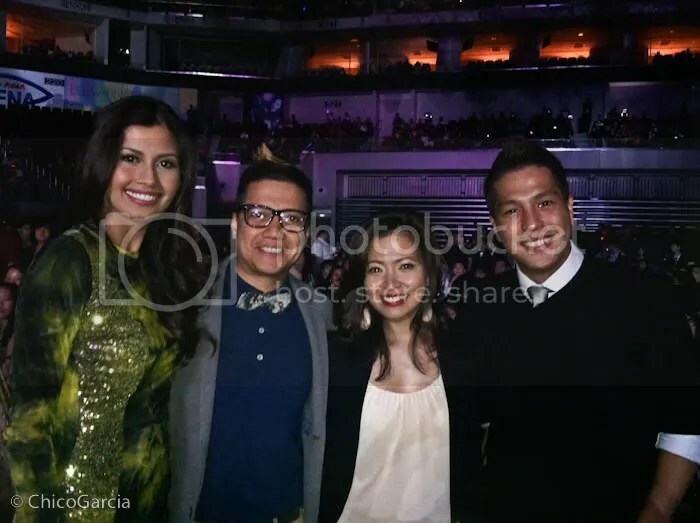 The event was held at the SM Arena at the SM Mall Of Asia! We are still floating as I write this, as I woke up to an overflowing of well-wishes via text, Twitter, and Facebook! It’s such an overflow of good vibes from all over! There are no words to express how happy we are right now, mainly because more than out of merit, we won this award because of all our listeners, family, and friends, who pitched in together to vote for us. Here’s a video from the vantage of our ROCK, the RUSHERS. I will definitely post a more comprehensive account of our OMG Awards experience, with all the photos and stories, but for later. Today, the work doesn’t end, The Kikays are hosting a wedding in a couple of hours, so I can only compose a quick post, just to thank everyone for helping us bag this great honor. 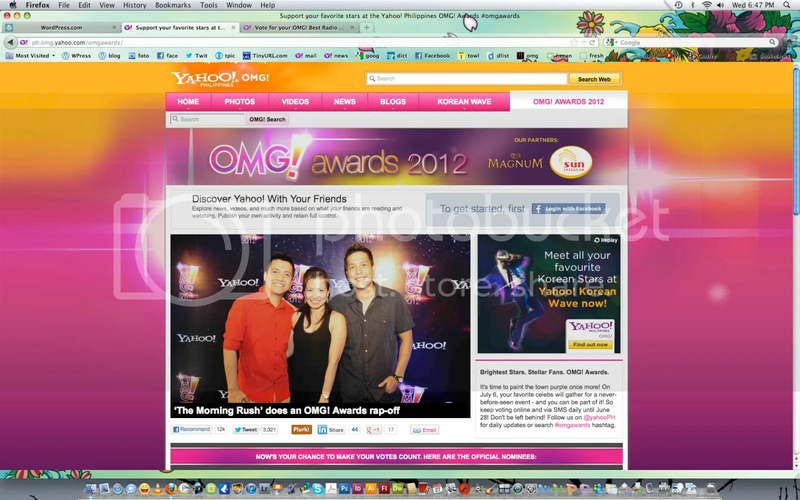 Again, thank you to Yahoo! OMG Awards for the incredible recognition, Monster Radio RX 93.1 for our home in radio, and of course THE RUSHERS and all our listeners who tirelessly voted for us, online or via text, without whom we wouldn’t be celebrating today. THANK YOU!!! And, every single time we have a guest in the booth, we cannot NOT have an Epic Pic, this one with Rocco gamely showing us his “abs”! And of course, our now notorious Epic Rap-Off! This was a first, because Rocco joined the Rap-Off, the first guest of ours to actually join in the rapping! We even had to do a take 2, but it’s all good, it all turned out funny in the end. I didn’t get to enjoy our little Magic Mike moment there, since I didn’t want to flub my part, so watching this was actually the first time I saw what actually happened. Special thanks to @JRhyan for documenting Rocco’s guesting, for posting it on YouTube, and for giving Rocco a copy of our book as a souvenir! Wow, he gets to think of the stuff that we should be on top of. Again, thanks Jaime! I do hope he comes back for seconds, and expect more guestings like Rocco’s in the future! Tell us who you want to have on the show, and if we can wrangle it, we will! Or better yet, if you have contacts to the celebs you want on the show, maybe you can help us out. 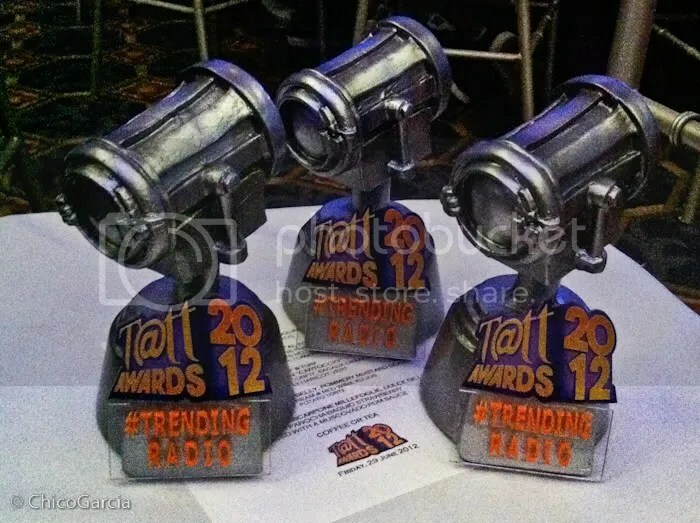 The Morning Rush Wins #trendingradio Award At 2012 Tatt Awards! It was a nice surprise! 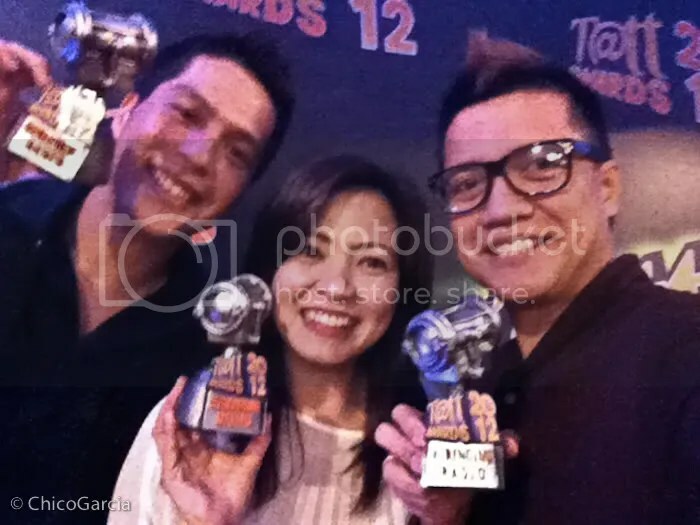 We were invited to the 2012 Tatt Awards to support Gino since he was hosting with the gorgeous Georgina Wilson, and lo and behold, when it was time to give out the special awards, turns out we had an award ourselves, the #trendingradio award, since we had the most trending hits in 2012 for radio! It was a nice little surprise, and we were smiling ear to ear being given such a wonderful recognition. What makes it special is that it reflects more on our listeners’ support for the show. What makes anything trend would be the people who would join in, and we’re happy that our listeners deliver in spades, not so much for the sole purpose of trending, but because they’re enjoying themselves. And that for us, showbiz answer aside, is the true prize. So again, thank you to the Tatt Awards for the humbling honor, and of course a big thank you to everyone who tunes in to The Morning Rush tirelessly, giving us such great responses and incredible good energy every single morning, whether they like the topic or not, whether their entries are read or not, they still flood us with input that fuels the show year after year. THANK YOU!